Valley Isle Gymnastics and the Y are teaming up to provide four days of gymnastics summer camp! Hikes, campfires, games, art projects and swimming will be part of the fun. Bring leotards, gymnastics gear, sleeping bag or bedding & towels, swimwear, bug repellent, sunscreen, rain gear/umbrella/poncho & warm clothes for evening. Get ready to flip out in Keanae! Auditions, set creation, costumes, lines, lights, action! 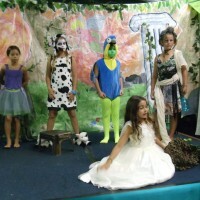 A week at camp and we will be doing a play from start to finish. Production for families and friends will be performed Saturday, March 17 at camp. We’ll do an “in town” performance after as well – date and time to be planned. Bring sleeping bags or bedding for each person, towels, swimwear, bug repellent, sunscreen, clothes and shoes that can get muddy, rain gear/umbrella/poncho, warm clothes for evening games and campfires. Time: Tuesday, leave Kahului Y at 3.00pm Saturday, return to town with parents after production. 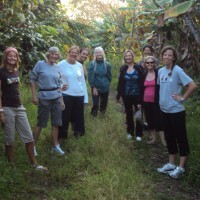 Includes all meals + snacks, supplies, transportation from Kahului to Keanae and accommodations. Theater Director: Tom Althouse, was recently named to Maui Times’ Top 20 People Making a Difference on Maui. He has performed in Pro Arts shows and instructed and directed programs with Montessori Schools of Maui. Open auditions at the Maui Family YMCA in Kahului March 12th. Those wanting to AUDITION must be registered for the program. Art mediums to be explored: paper marbling, origami (Japanese paper folding), painting, poetry/story building, writing, book-making, storybook illustration. Bring your favorite story book. All other supplies provided. Charles Swan, is a featured children’s book Author/Illustrator, Eastern Washington University, Spokane, Washington, Children’s Book Writer’s Conference. Friday, return to Y at 3:00 pm. 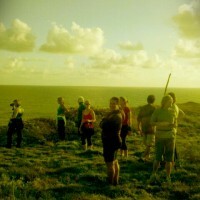 Includes transportation (to and from Keanae), supplies and six meals and snacks. Experience the magic of Keanae with a spa weekend wellness retreat for women only! Enjoy facials, massages, manicures, pedicures, yoga (with Paula & Andi), Zumba (with Jadine), art & music therapy, jewelry-making, rejuvenating hikes and swims, tasty catered meals and snacks (from Cindi’s Catering), and a fashionista experience with our own “What TO Wear” fashion show and personal style coaching with Lei Lee from SUMTHING, A Unique Boutique, 180 E. Wakea, Kahului. What every girl needs — time to relax & do something wonderful for herself! Come with a tent or stay in a cabin (two cottages are available at an extra cost on a first come, first serve basis). Bring sleeping bags or bedding & towels, swimwear, bug repellent, sunscreen, raingear, umbrella, poncho & warm clothes for evening. Experience the magic of Keanae with a weekend retreat for men only! Enjoy fishing, grilling, drumming, painting, playing music, rejuvenating hikes and swims, tasty meals and snacks and a chance to kick back with the guys and talk story. A unique opportunity to work with lo’i and experience a 900 year old tradition of taro cultivation. Bring clothes and shoes that can get muddy. Includes meals, snacks, all activity supplies, speakers and accommodations. Don’t let your family suffer from Nature-Deficit Disorder! Families who explore, learn and play outside regularly are healthier, happier and more fulfilled; and their kids are smarter, more cooperative and more creative. Come out to Camp Keanae and experience nature together. We will hike, swim, play games & have family competitions, explore a Keanae taro patch, create art projects and enjoy campfires – be prepared to have a lot of fun! Come with a tent or stay in a cabin (two cottages are available at an extra cost). Bring sleeping bags or bedding for each person, towels, swimwear, bug repellent, sunscreen, clothes and shoes that can get muddy, raingear/umbrella/poncho, warm clothes for evening games and campfires. Come together as a big ohana for dinner Friday, 6:00 pm and then end with Sunday breakfast at 9:00 am. For more information on Camp Keanae please visit www.ymcacampkeanae.org.